Over on dazzy-p.deviantart.com, Darren Pepper gives us "Strip 90 of By The Gods!" here. Also, on uptofourplayers.com, they explore "Opposites" here. 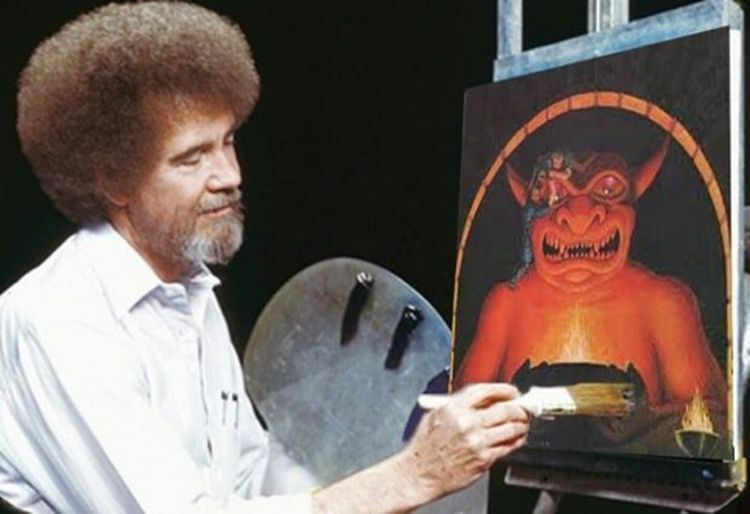 Finally, it's been shared around Facebook and elsewhere for a while but I don't think I've shared it here, so here is a meme of Bob Ross painting a picture of the idol from the First Edition Dungeons & Dragons Players Handbook. Enjoy!